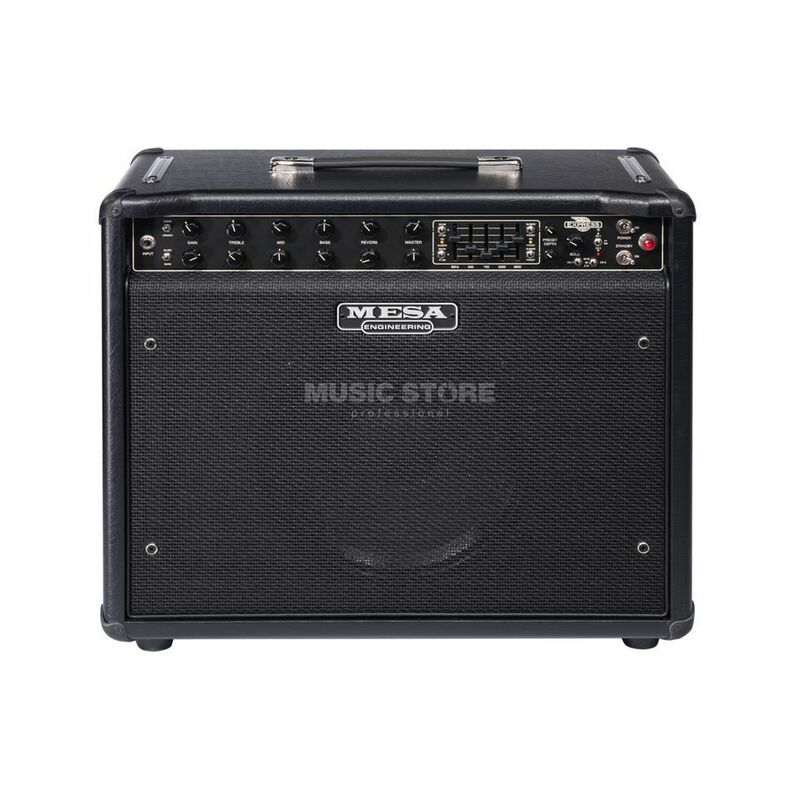 MESA BOOGIE Express 5:50+ Combo 5/25/50 Watt 1x12"
The Mesa Boogie Express 5:50+ Guitar Valve Amplifier Combo is a hand-built, all-tube, dual-channel amplifier with an extremely versatile sound range. This is an amp of outstanding build quality, both inside and out. The 5:50+ is a 50W beast which runs 2x6L6 octal-based pentodes and features Mesa Boogie’s Multi-Watt channel assignable power switching. This allows for user-definable wattage ratings per channel, each switchable between three settings (5W, 25W & 50W). Furthermore every selection has a unique wiring configuration, and so a unique voice, giving very fast access to alternative tones in any given EQ chain. This section of the amp’s face also houses the new Solo control, a foot-switchable master volume boost used to increase overall volume output without crushing the tubes. Speaking of EQ, the 5:50 goes beyond the call of duty in terms of tone-sculpting. Obviously each channel has dedicated Gain, Treble, Mid and Bass knobs but a secondary 5-band slider EQ section gives unprecedented choice and definition in arriving at your chosen tone. The EQ section can also switch between the slider configuration and a preset V-scoop option, and depth knob. This is independently switchable in each channel, as are the all-tube Reverb controls, which can be controlled via optional footswitch. Channel 1 switches between Clean and Crunch modes. Channel 2 switches between Blues and Burn modes.